On Scene: 5.11 Bag-BLOWOUT SALE! 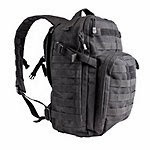 While supplies last, we're offering 20% off the great 5.11 Bags & Backpacks, right now our website. We're talking Responder bags, backpacks, fire gear bags, radio pouches, patrol bags and more! Here are some of the awesome products on crazy sale right now. This great bag offers outstanding durability and functionality at a price that won’t make you feel guilty about throwing it on top of the truck. 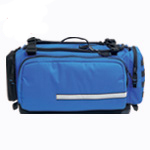 This Responder EveryDay bag is made from 1050D nylon with a durable water-resistant coating. Specially designed for Basic Life Support…and the way you work. 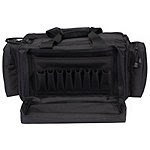 Large, tough EMS bag combines easy carry, and flexible “Stadium Organization” for faster access to all your gear. Sized for use as a Go-Bag, day trips, office commutes, or as a smaller carry-on, the RUSH 12™ pack is loaded with most of the same features as its larger teammates for maximum utility. Designed by special operations combat veteran, Kyle Lamb of VTAC, the RUSH 12™ was created because of end-user input. These bags and many more from 5.11 are available for a short time, or while supplies last, so don't miss out of the chance to save 20%! Shop the 5.11 Big Bag Blowout, today!